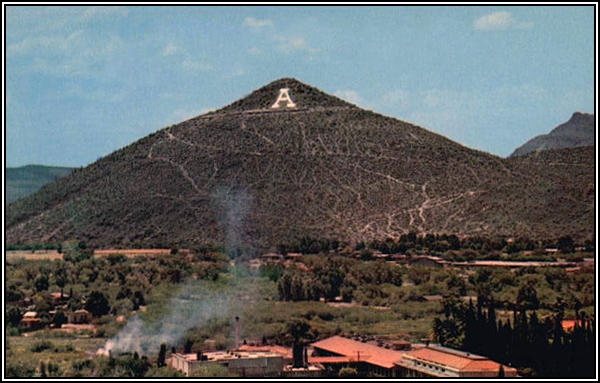 The letter "A" is repainted on piled stones every year by college freshmen from the University of Arizona. 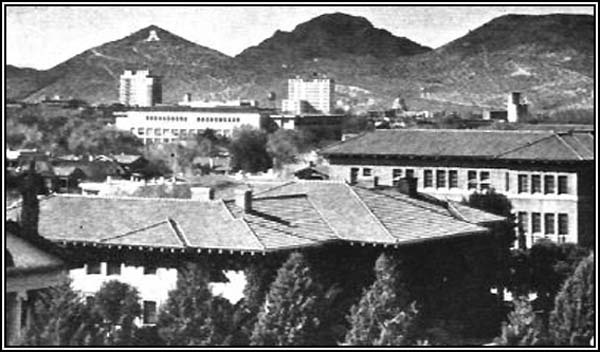 The tradition dates back to October 23, 1915 when the U of A football team was celebrating a victory over Cal State Pomona. 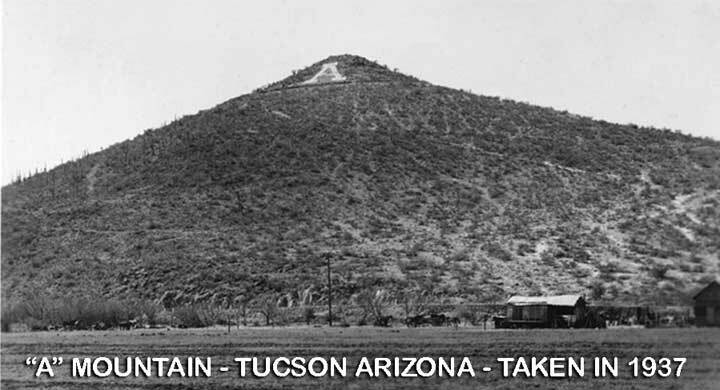 In the 1937 photograph shown above, the road circling the peak can be seen near the top. There was a small parking strip along this road that was perfect for couples to park at night and view the lights of downtown Tucson. 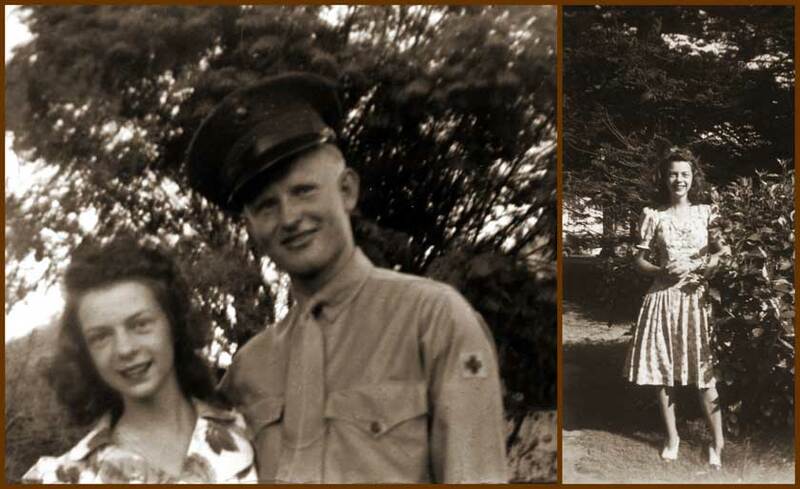 Below are photographs of Kenneth and Miss Betty Jean Eaton, his high school girlfriend in Tucson. This is the girl he would have spoken to Harold J. Hamilton about. The photo was taken in San Diego during Kenneth's corpsman training. Kenneth's mother, sister, and Betty Jean traveled from Tucson to visit him there.